Mid-terms are definitely picking up, but the Senators are not slowing down. 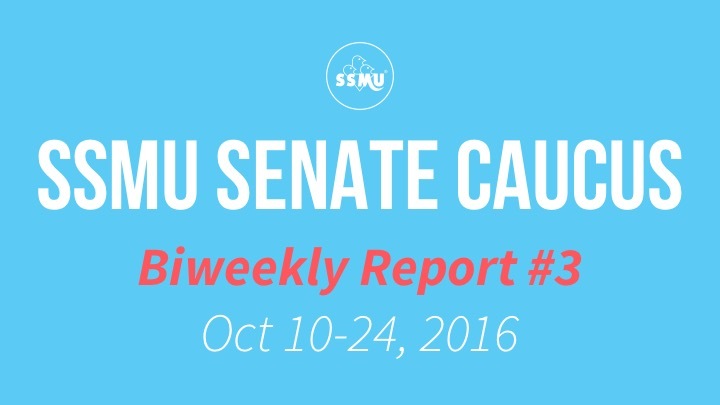 Here is the third biweekly report of the SSMU Senate Caucus. You can also find our previous biweekly reports here. The Senators attended the October Senate meeting, where the Policy Against Sexual Violence draft was discussed for the first time at the Senate level. We had Chris Buddle, the new Dean of Students, come in to Caucus to chat with us about his vision and goals of the Office of the Dean of Students, how he sees his role, as well as the Policy against Sexual Violence. 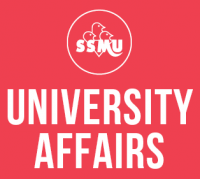 We discussed the ongoing Cyclical Unit Review McGill Enrolment Services. The review committee is looking for student input, so if you have thoughts about Service Point, exam scheduling, or student records, please fill out the short survey here. We discussed the deferred exam policy pilot and the communication of this pilot project to the students.